In addition to selling a product or two where the proceeds go directly to support the cause, let customers know that they can also donate funds to the cause. You, as the business owner, may assume that consumers would automatically understand that there is more than one way to support a cause; however, it may not occur to consumers that they can make a donation in place of making a purchase. ask consumers to nominate a cause and then vote on the one that will receive all the donations. allow consumers to choose from a group of causes that would receive the donations. This second technique is what ONEHOPE Wine has embraced. The brand donates half of all profits to a list of causes including: Cure Alzheimer’s Disease, Support Our Veterans, Save Our Planet, and several others. Each wine is associated with a specific cause. 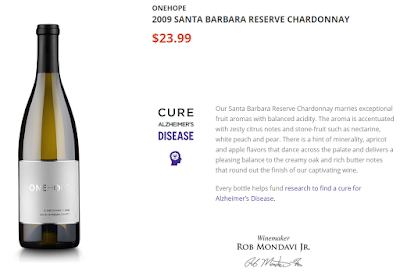 In Image 1, you can see that half of the profits for the 2009 Santa Barbara Reserve Chardonnay helps fund research to find a cure for Alzheimer's Disease. Image 1. 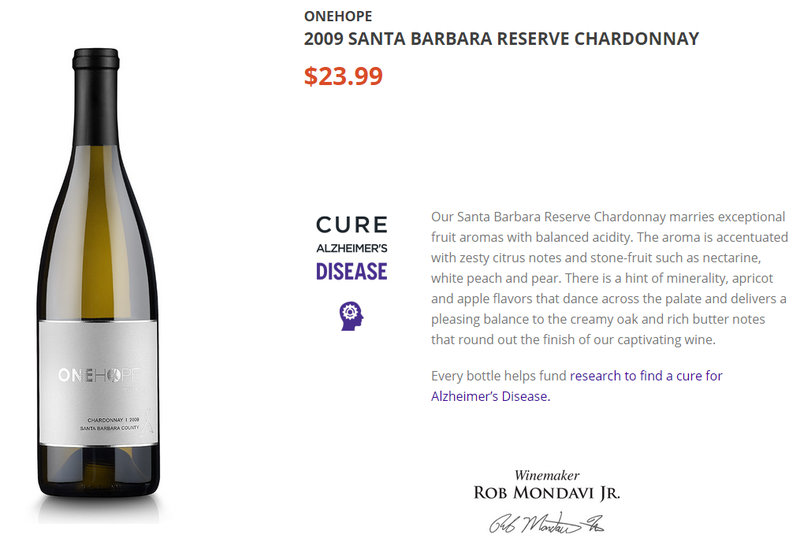 Bottle of OneHope wine that benefits research to find a cure for Alzheimer's Disease. Finally, employees should be asked to do more than just collect donations or indicate what purchases support the cause. Involve them in the process of selecting the cause and associated administration needed to support events or activities. The more employees support the effort, the more likely they are to alert customers that your business is involved in collecting donations to help those in difficult situations. As with any new marketing program, it is very important to DO YOUR RESEARCH to determine if this is the right path for your business.